Beleg (S. ‘Mighty’) was a Sindarin Elf of Doriath, and the chief of the Marchwardens of Thingol’s hidden kingdom. Both a great woodsman and warrior, he was the only Elf of Doriath (in addition to Mablung) to fight in the Nirnaeth Arnoediad. 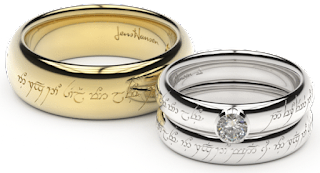 Primarily a bowman, Beleg (also known as Beleg Cúthalion; ‘Strongbow’) initially bore the bow Belthronding before being given the sword Anglachel by Thingol. He later befriended Túrin, son of Húrin, after being sent by Thingol to seek and protect him. The two campaigned together throughout the lands of the upper Teiglin. 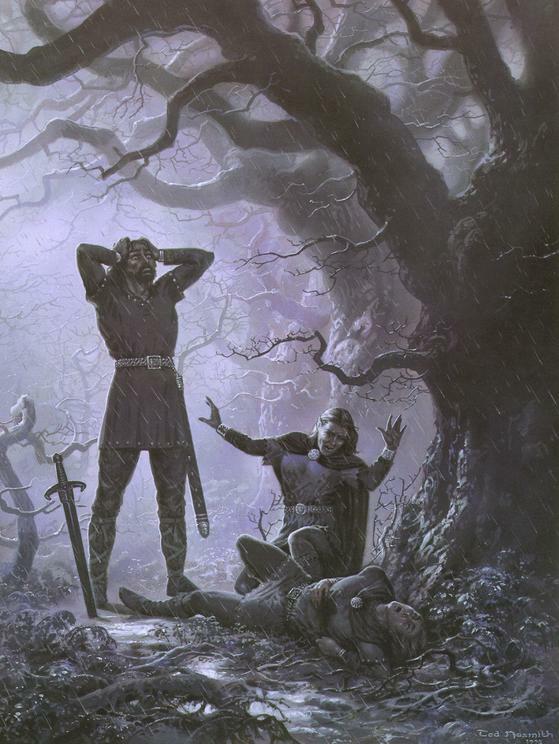 Beleg was wounded and left for dead following an Orc attack, while Túrin was taken alive towards Angband. While he succeeded in freeing Túrin from captivity, Beleg was mistakenly slain by Túrin, who thought him to be an Orc. Túrin, in memory of his friend, made a song, Laer Cu Beleg (the Song of the Great Bow), about him.